URI Hillel is a beneficiary of the Jewish Alliance of Greater Rhode Island. (401)j is a new state-wide collaboration between Congregation Beth Sholom, Temple Beth-El, Temple Emanu-El, and the Jewish Alliance of Greater Rhode Island open to community members in their 20s, 30s, and early 40s. 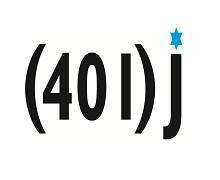 For more information like (401)j on Facebook or check out the (401)j blog daily for new posts and event information.